8 Gorgeous 'Laung Gawacha' Trends For Every Desi Bride Ever! Hey girls, got your bridal attire in place? So now it's time to choose your jewellery to go with it. The choices are many but make sure you stay true to your personal style even on your big day. If you're more of a minimalistic girl, keep the accessories limited but if extra is your middle name, why stop at anything! 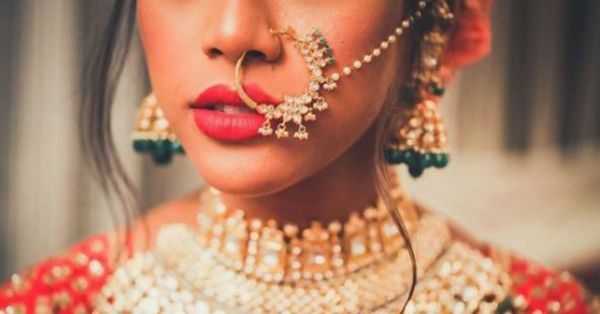 In the midst of all this comes the bridal nath which is a nose ring attached to a chain we desis love to wear on our D-day. They say that the traditional reason for donning these is the bride paying homage to Goddess Parvati or that it reduces pains during periods and child birth. Well, whatever the reason may be, we just love us a good bridal nath 'cause it's oh-so-pretty! And if you're thinking to nath or not to nath, here are 8 bridal nath inspirations that will leave you stunned. This is for the girl who wants to keep it on the low key. Or if you plan to wear a heavy matha patti and a bold neck piece, this wired nath with minimal design is the way to go. Brides who don't want to be weighed down on their D-day, this is the perfect solution. Elegant and timeless, how does one go wrong with that? There's something about pearls that make them ever so lovely and if you're as in love with them as we are, then you've got your answer. Get an intricate nath with tiny pearls or one with bigger, shiny ones. You can complement it with a gold and white chain as well. Uff, the beauty! Green and red, emerald and magenta, combinations that we just adore. If you're wearing an ivory ensemble then a ruby nath would look stunning, or even a semi-precious turquoise or pink would brighten up your special day. If traditional is the way you're going for your big day, why not dress in accordance with the theme too!? These traditional naths look stunning and evergreen trumps trendy every time! If you're choosing diamond accessories for your bridal avatar then it makes sense to maintain the look and go for a diamond nath too. Shimmer and sparkle like the princess you are and dazzle everyone on your wedding day! If you're gushing over intricately designed bridal everything, then why should naths be left behind? Look out for teeny tiny details in bridal noserings and don them with grace. There's nothing more beautiful than ornate work. It's your freaking wedding day for God's sake and if you're a bride you who loves the big shaadi shebang then massive naths are perfect for you. After all, it is your D-day and it's never gonna come again. When else do you have an excuse to go completely all out!? There's just something special about kundan jewellery that has everyone going crazy and for good reason, it's freaking gorgeous. If that's the case with you, complement your set with a kundan maang tikka and a kundan nose ring and you'll transform into one hell of a stunning bride. So what do you say? 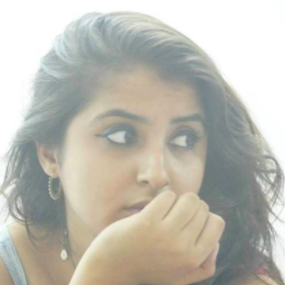 Your laung gawacha is worth writing a song over too?! We definitely think so!! !